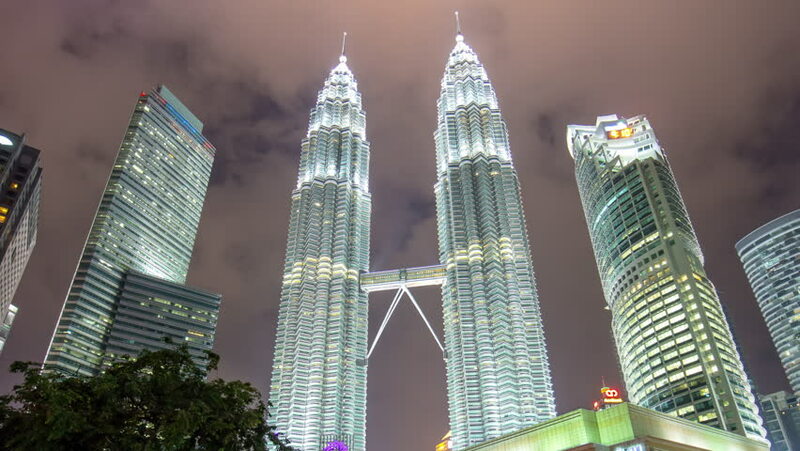 KUALA LUMPUR, MALAYSIA - JANUARY 2016: night light petronas twin towers KLCC mall downtown tops panorama 4k time lapse circa january 2016 kuala lumpur, malaysia. 4k00:08KUALA LUMPUR, MALAYSIA - JANUARY 2016: night thunderstorm petronas twin towers park panorama 4k time lapse circa january 2016 kuala lumpur, malaysia. 4k00:11Kuala Lumpur, Malaysia - February 1, 2019: 4k establishing b-roll shot of dusk at Petronas Twin Towers KLCC Suria Lake Park with Chinese New Year decoration. 4k00:06KUALA LUMPUR - February 2017 : Timelapse of evening view at KLCC on February 17, 2017 at Kuala Lumpur City Center. hd00:13KUALA LUMPUR, MALAYSIA - 27 July 2018: Day and Night timelapse of Kuala Lumpur skyline overlooking, the Twin Tower Kuala Lumpur and Four Seasons Hotel from the SkyBar Traders Hotel. hd00:15KUALA LUMPUR, MALAYSIA - CIRCA MAY 2017: The Petronas Twin Towers and Kuala Lumpur City Centre KLCC illuminated at late evening. Realtime video with tilt down motion.